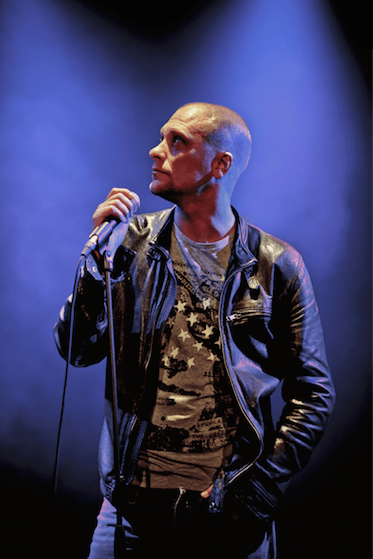 Magnus Betnér is a Swedish stand up comedian, often heralded as one of the biggest names in Scandinavian comedy. Luckily for us here in the UK, Magnus also regularly performs his material in English; he has even performed at the Edinburgh Festival multiple times. With material that fearlessly tackles taboo social topics, this comedian proves himself time and time again to be a brave and challenging performer, making him an interesting one to watch. 1) What makes you nervous? Not much anymore but some gigs in English, the opening of a new tour and some TV stuff still gets the adrenaline pumping. 2) What is your favourite childhood memory? Does anybody really remember their childhood? I guess it was pretty great most of the time and nothing really comes to mind except vacations and trips with the family. That was extra nice. 3) Which language do you prefer to gig in? Swedish because I’m still much better that way. 4) What surprises you most about British culture? That your system of polite “he was here first” nods in bars actually works better than the Swedish whoever pushes hardest to get the bartenders attention wins system. 5) Do you care if your comedy offends people? I don’t like to offend just for the sake of it but I tend to do so anyway and I’m fine with that if I can justify it for myself. People have a way of being offended no matter what you say so you can’t let that bother you too much if you want to do comedy. 6) Do you consider yourself to be an outsider? Yeah. I think I always have. 7) What is annoying you at the moment?